Hairdressers Journal International are one of the leading magazines for the hair industry. The magazine has been in circulation since 1882. It is currently published in the UK as a monthly magazine specifically for the hair industry. RUSH are thrilled to have HJ Magazine sponsor our RUSH Live show this year. Every penny from the tickets sold goes to Great Ormond Street Charity. Last year RUSH raised over £10,000 to support this amazing charity. In April 2007 HJ launched its website. The website focuses on celebrity styles, hair imagery, and business advice. 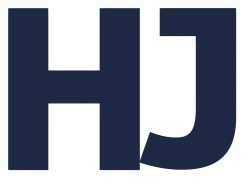 Every day the HJ website is updated, which is great if readers can’t wait all month for an issue! Every issue features great salon advice, news, and events. HJ hosts the annual British Hairdressing Awards in association with Schwarzkopf Professional every year, which consists of 16 categories. HJ also host the British Hairdressing Business Awards. Last year, our founder, Andy Phouli won the most prestigious award, British Hairdressing Director of the Year. RUSH have had a partnership with HJ for many years. The magazine features a business section, where there are many franchise articles (also available online) and interviews. This is great for prospective Franchisees as your salon could feature in HJ! Whenever HJ writes an article about an opening of a RUSH salon, it attracts a lot of new clients. We look forward to seeing you at RUSH Live 2016. Why are L’Oreal a sponsor of RUSH Live 2016?